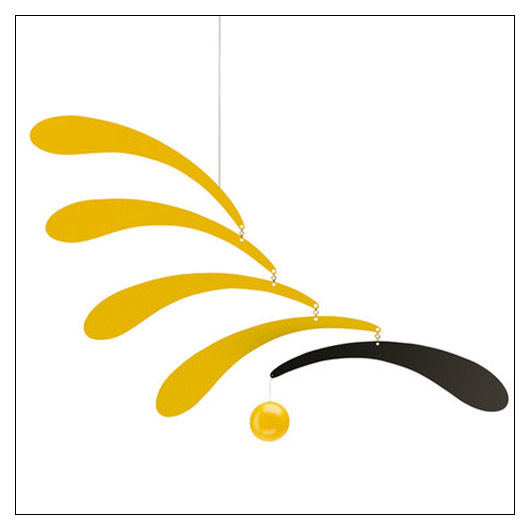 Flowing Rhythm Flensted Mobile (FM005) at Pure Design Kids / Toys / Flensted Mobiles ::: Kids' Toys, Furniture and More at Pure Design Kids! An interplay of shape and colour in movement that is perfectly suited to the contemporary interior. Created in 1955 by Christian Flensted. The yellow mobile is yellow on one side and BLACK on the other.